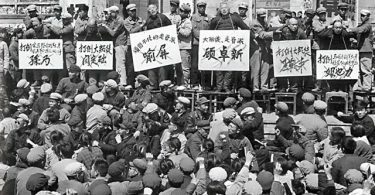 Chinese state leader Zhang Dejiang has arrived in Hong Kong, saying that he is ready to look, listen and speak, and highlighting his work during Hong Kong’s 2003 SARS pandemic. Zhang is the no. 3 official of China’s Politburo and is also in charge of Hong Kong affairs. He arrived by plane at noon sending “warm regards” and “best wishes” from President Xi Jinping and the Central Government to Hongkongers. Zhang Dejiang arrives in Hong Kong. Photo: Apple Daily. He said he noticed his trip attracted attention from all sectors, and that the weather was nice. “I could say that I have certain destined connections with Hong Kong – when I was working in Guangdong, I pushed for cooperation with the Hong Kong government and all sectors, cooperation within the pan-Pearl Delta area, cooperation in fighting against the SARS pandemic and gained success, it all comes to mind when I think about it,” he said. 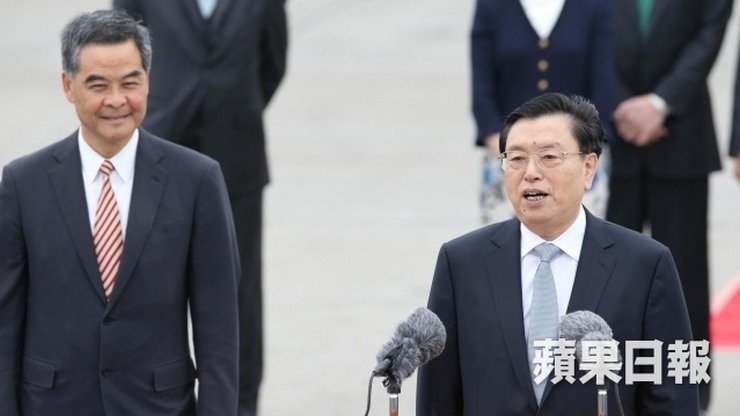 Leung Chun-ying and Zhang Dejiang. Photo: Apple Daily. “My visit to Hong Kong this time can be concluded in three characters,” Zhang said. He said he is going to “look”, by examining the latest developments in Hong Kong, by visiting old and new friends and by looking at the livelihood of Hong Kong people. He will also be “listening” to the Chief Executive and the Hong Kong government’s work, as well as public suggestions and requests on the implementation of One Country, Two Systems. Zhang said he will “speak”, namely during a keynote speech at the Belt and Road summit hosted by the Hong Kong government on Wednesday, as well as at a dinner to be hosted on Wednesday night. He said he may speak at different events as well. 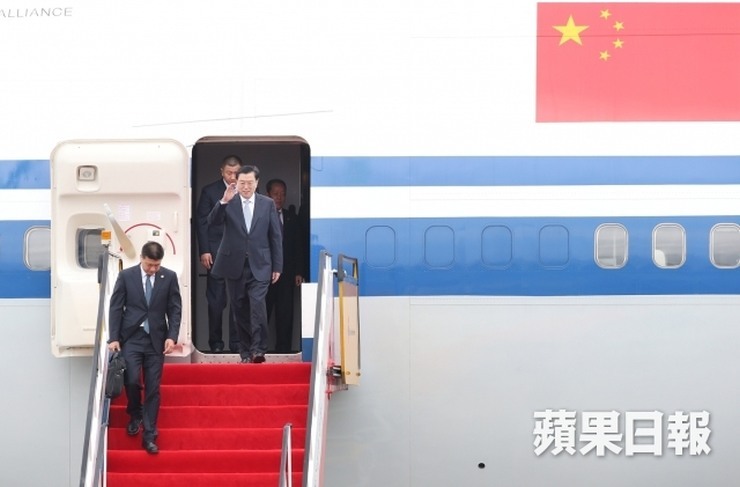 “I come with the care and love of the Central Government, and the people of the whole country, for Hong Kong, I believe my visit will enjoy fruitful results,” he said. He is scheduled to meet with government officials and a dinner at Government House on Tuesday night. 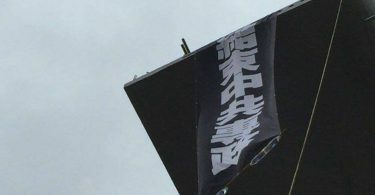 The pro-democracy League of Social Democrats have planned a protest march from the HSBC headquarters to Government House at 5:30pm Tuesday to demand universal suffrage throughout China, the end of one-party rule and the retraction of the decision made on August 31, 2014 that future Chief Executive candidates would have to be vetted by a nomination committee.